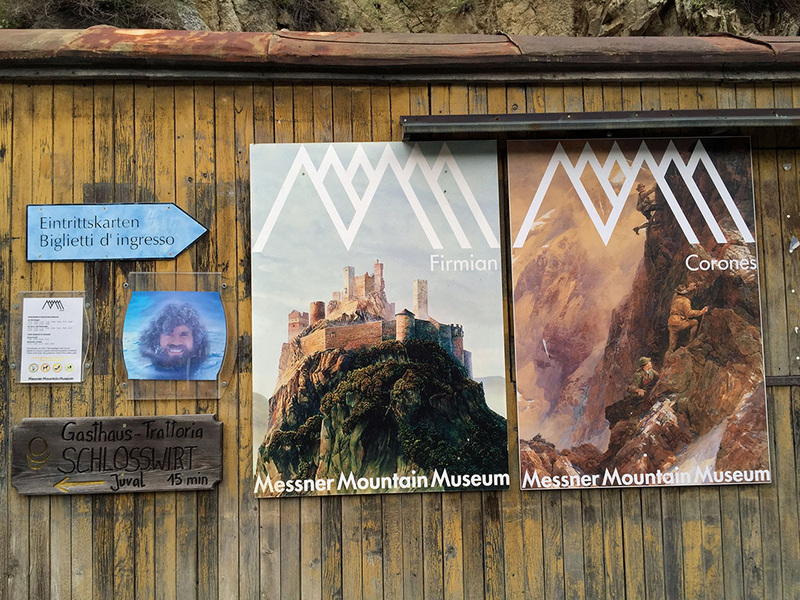 Mountaineering, mountains, and building in the mountains – these are the key issues Messner addresses today. And he has put a lot into them – physically, mentally and financially. The museum project alone is said to have cost around 30 million euros, shouldered by Messner and the Northern Italian province. The idea behind it? When you are the first person to conquer 14 peaks, all of them over 8,000 meters and without oxygen you have pushed the boundaries of what humans can do. Moreover, as the main actor and chronicler of international Alpinism Messner has struggled with the power of nature and experienced firsthand what it means to be exposed to its forces alone on a mountain. Which leads to introspection and existential questions. The journey in your mind that is the real journey. And as Messner is both someone who hunts records and a collector of cultural assets on his 100 or so expeditions in almost all mountains and deserts of the world he has not only collected personal experiences, but also a wealth of items from foreign cultures and philosophies, art and artisanship but also relics from mountaineers and mountain peoples. Both intellectual and material. That is his legacy. It was to give these items a home and to take others with him on his journeys that he started his museum project in 1995. An immense enterprise that he calls his “15th peak over 8,000 meters”. 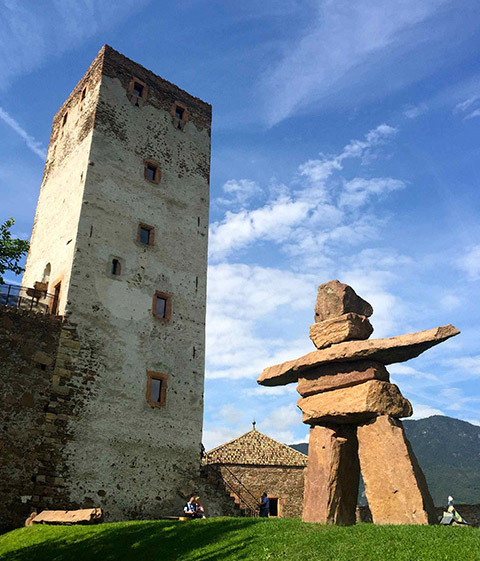 Flashback: In 1983 Messner bought the ruined castle of Juval in Vinschgau. He had it restored and lived there. In 1995 he opened an exhibition called “Alpine Curiosa” in Sulden. Parallel to this in “MMM Juval” he showed exhibits under the title “The Mountain Myth”. 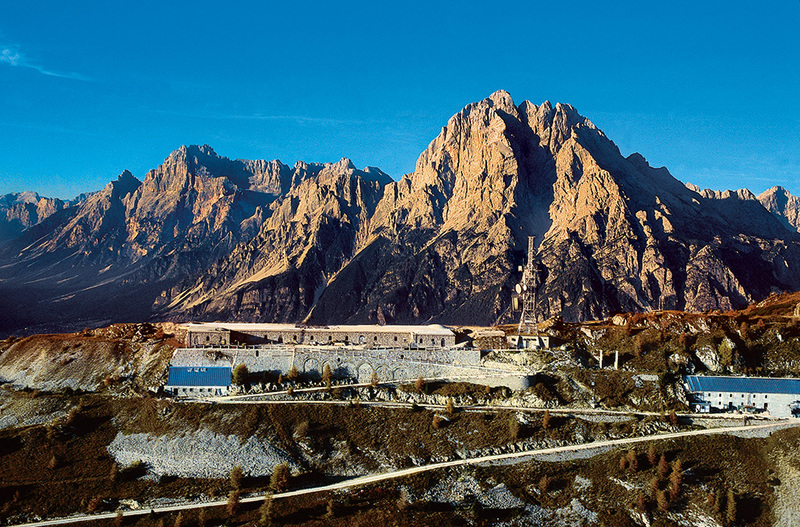 While prolonged disputes delayed the opening of “MMM Firmian” in Sigmundskron Castle, the heart of the museums “MMM Dolomites” was created on the peak of Monte Rite between Pieve di Cadore and Cortina d’Ampezzo. Topic: “Vertical worlds”. 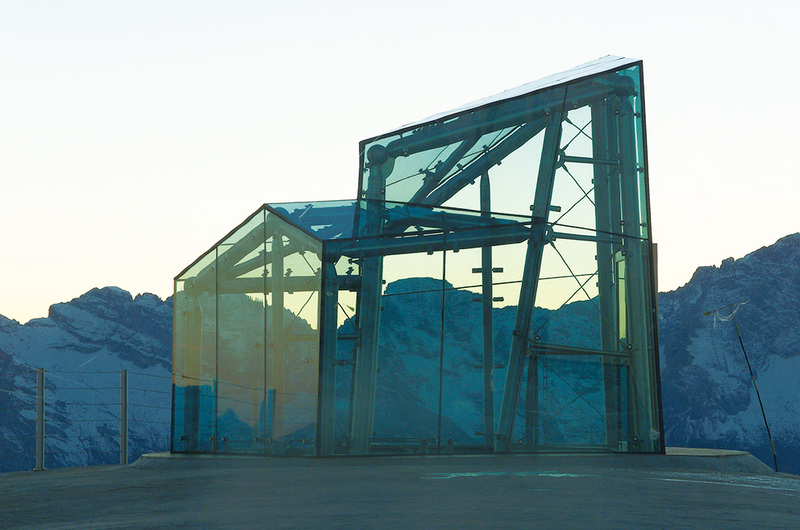 In 2004 at an altitude of 1,900 meters “MMM Ortles” near Sulden opened its underground doors with the subject “The World of Ice”. With its jagged skylight the concrete building mimics the line of a crevasse. 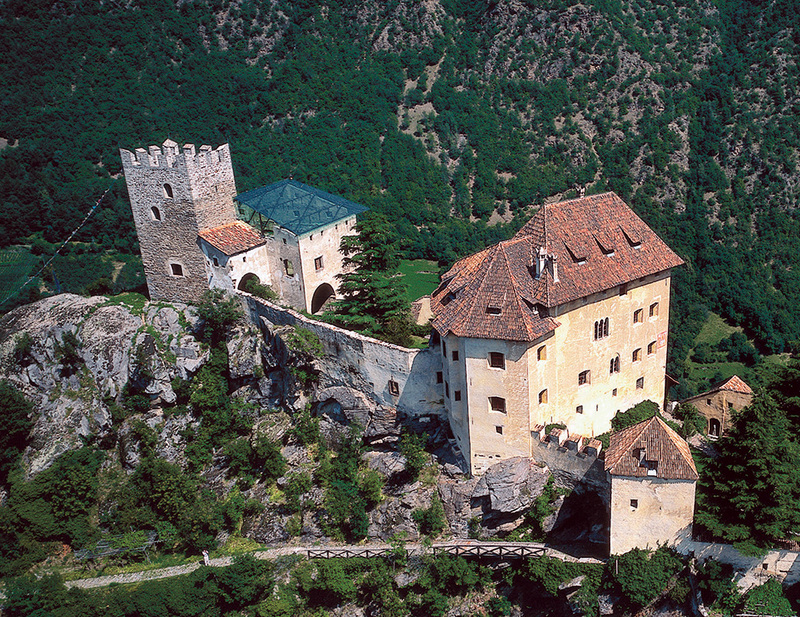 Finally, in 2006 “MMM Firmian” opened in Sigmundskron Castle near Bolzano. 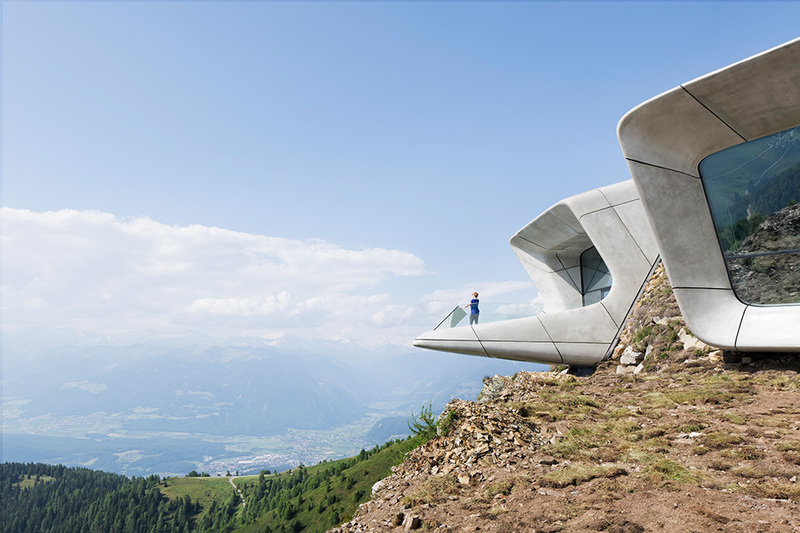 As the center of Messner’s museum chain it illustrates man’s encounter with the mountains. 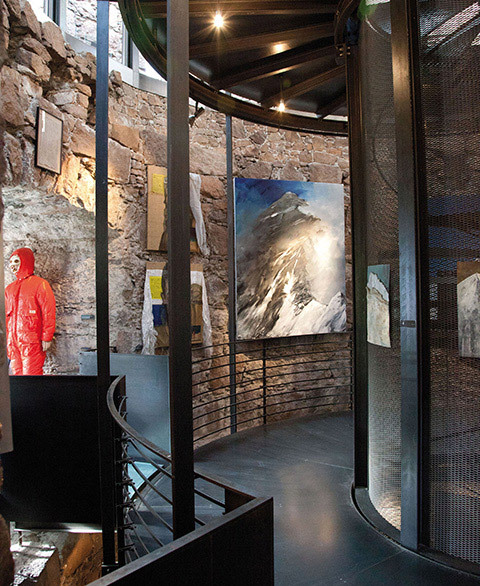 Then in 2011 the fifth museum in the series opened in an old castle in Bruneck, the “MMM Ripa” with a focus on “The Mountain Peoples”. Look more closely and one thing is clear: Apart from MMM Ortles Messner only uses ruins or existing historical buildings as locations, which he then extensively restores and modernizes. As such there are no grounds whatsoever for the many critics who argue Messner disfigures or even ruins the mountains with his buildings. 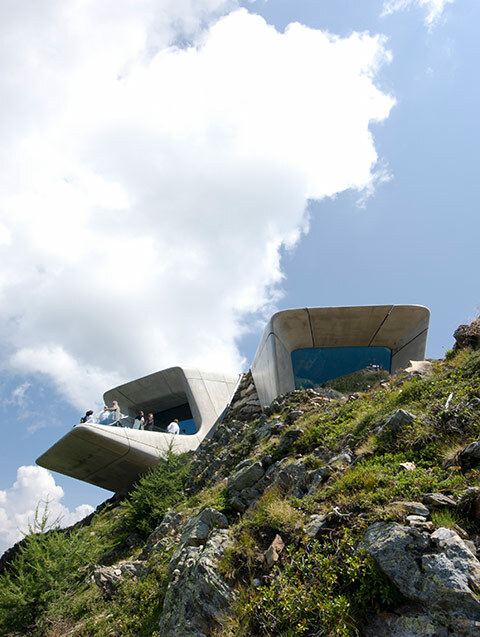 Another interesting point: Messner had a different architect design and realize each museum. “I didn’t want any repetitions,” says Messner by way of explanation. 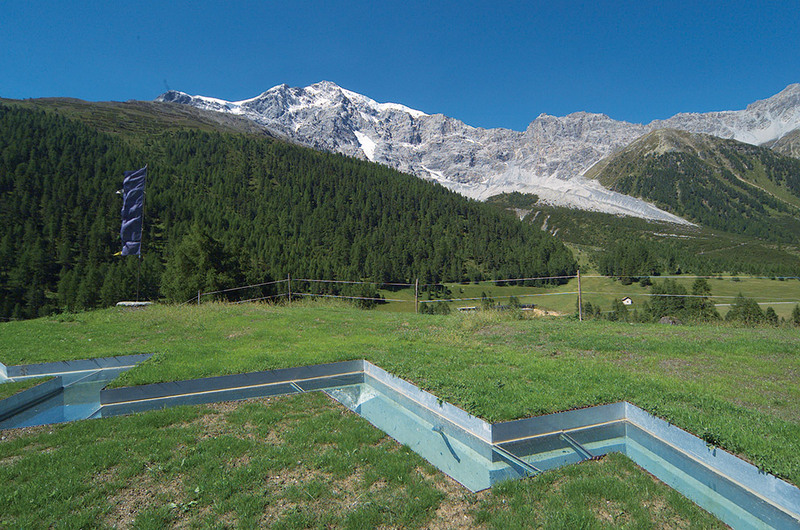 In particular the conversion of the “MMM Firmian” shows in many details that the mountaineer not only invented the so-called “Alpine style” but also transferred it to the construction. The criteria are clearly outlined: minimally invasive, true to the original, using only those measures absolutely necessary, and after 30 years ready to be removed without trace. In July 2015 “MMM Corones” opened its doors. But why locate it on the region’s number one skiing mountain? You have to imagine the Kronplatz as a kind of guglhupf. On the busiest days in winter 32 lifts ferry up to 23,000 visitors to the plateau, while on summer days numbers never top 2,500. All that is missing here are roundabouts and traffic lights. 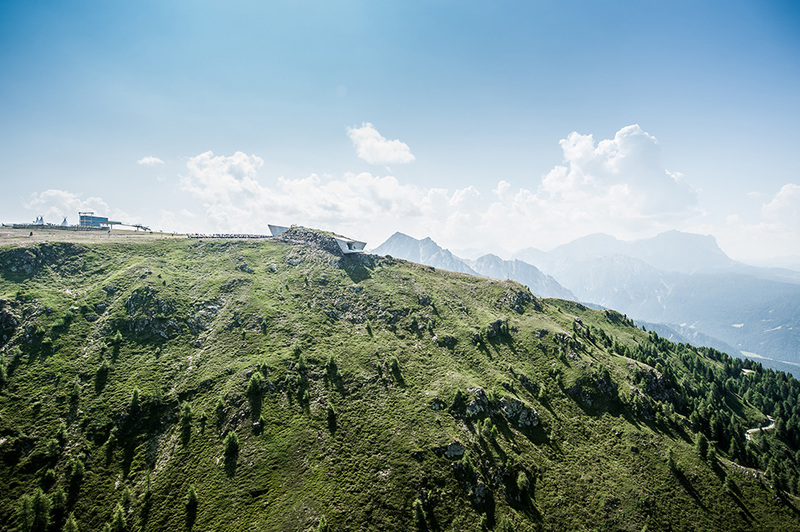 “Originally,” explains Messner, who at that time of the year was out scouting for a sixth location, “Kronplatz AG was planning a viewing platform here. 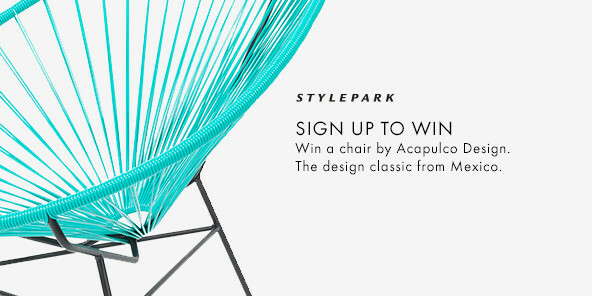 Zaha Hadid had won the tender for it. But I advised against it. It would have been counterproductive”. He was able to win over the developers. Names like Messner or Hadid are global brands, and a guarantee for international attention – in other words well-calculated value-added. Hadid designed the building which covers 1,000 square meters. The cost: 3 million euros. 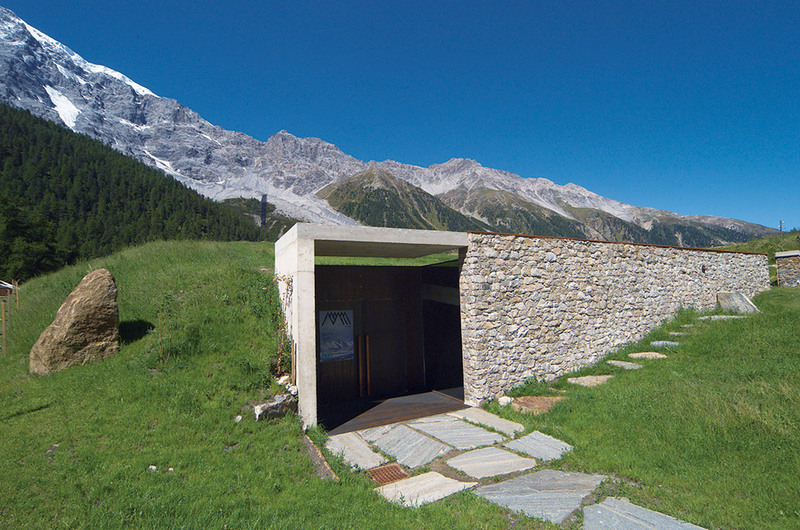 In keeping with Messner’s concept the building was realized underground. Indeed, in 2002 with the Bergisel ski jump in Innsbruck Zaha Hadid scored a great success, both in design and functional terms. “A landmark”, Messner calls the ski jump. But he deliberately chose not to construe “MMM Corones” as a “landmark” – with its topical focus on traditional alpinism and the development of modern mountaineering. Instead, what he had wanted here, as with “MMM Ortles” previously, was to deliver an image for the future: “We deliberately set it into the rock face so as to leave the landscape largely unspoiled and also better exploit climatic conditions. This experiment up there goes much further than people realize!” In fact, with “Corones” Messner also plays with views and lines of vision: “They draw the eyes to the routes on my first ascents, to the Heiligkreuzkofel, the Geislerspitzen, the Peitlerkofel – or the land developed by man in the valley”. What Messner cannot deny is that some exhibits, for example, large paintings by Compton or the collection of historic pitons clash visually with the building’s organic, dynamic lines; sometimes they actually appear out of place. 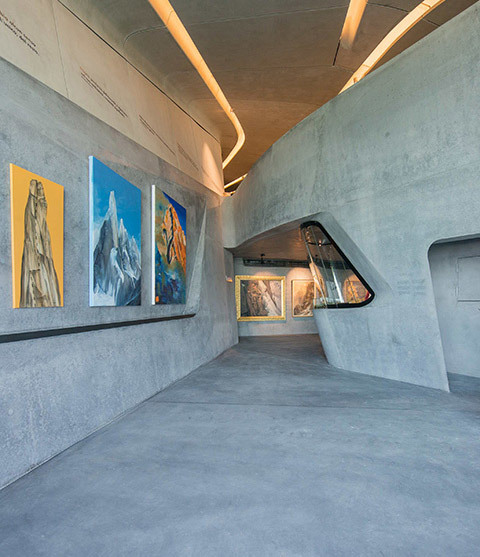 Messner admits he found it difficult arranging his works satisfactorily in the rooms. “Hadid congratulated me, she thinks things are presented well. But she would prefer it if there were nothing in it. I am quite sure of that,” Messner says and laughs. Back in the valley the one or other visitor is convinced: The mountain could only benefit from “MMM Corones”. It remains to be seen whether the much-cited Bilbao-effect will also come about in the Puster Valley. 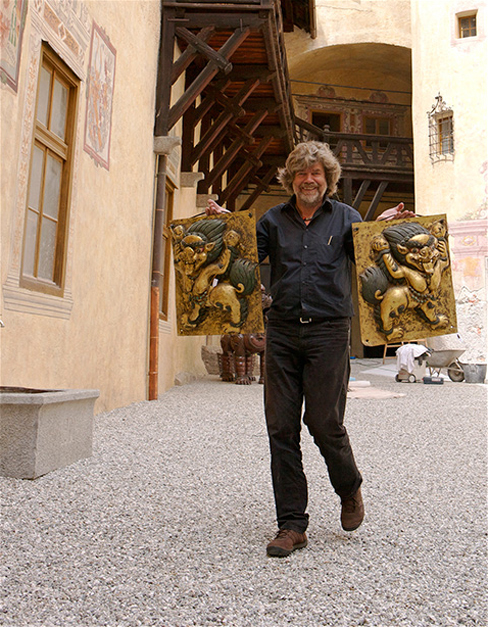 Messner is a collector of cultural assets: On his 100 or so expeditions in almost all mountains and deserts of the world he has collected a wealth of items from foreign cultures and philosophies, art and artisanship but also relics from mountaineers and mountain peoples.